Justin Bieber: Diary of a Douchebag | hesaidwhatnow? Justin Bieber. He’s an evocative person. If you’re a girl aged ten to fourteen, he’s someone you dream of being with. For everyone else, he’s someone you dream of punching in the face. Except, of course, for Bieber himself; to him he’s the coolest person on the planet. You and I, however, know differently. Justin Bieber is a douchebag. How does a douchebag spend his time? Doing douchebaggy things of course. Here is a recap of Bieb’s year so far, in all its glorious douchebaggery. In March, Bieber got caught trying to smuggle his pet capuchin, Malley, into Germany without the proper papers. What’s a capuchin? Whilst you might think it’s a Pokémon, it is actually a type of monkey that douchebags like to own. Although I suspect Biebs probably owns a lot of Pokémon too. Not even his monkey likes him. Malley was put into quarantine, but Bieber never collected the poor capuchin, so German customs eventually donated him to a wildlife park (Malley, not Bieber) and issued a bill of $1500 to cover the cost of caring for it in the meantime. 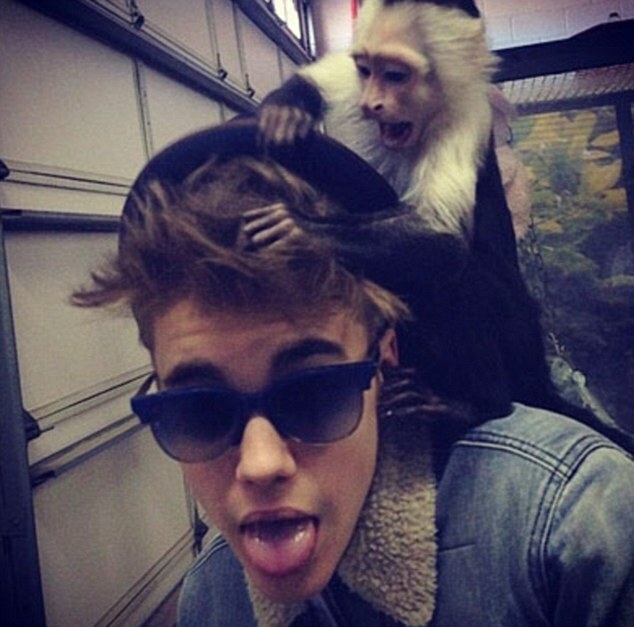 Bieber hasn’t paid, hasn’t collected Malley, and has since bought a new monkey. First of all, only Michael Jackson is allowed to have a pet monkey. Secondly, if you’re going to get a pet, don’t give it a stupid name like Malley. Dub him something timeless like Bubbles. Last of all, don’t try to smuggle one into a country and then refuse to cough up the $1500 needed to look after it when you get caught. What a tightwad. He would make that cash in less time than it would take him to read this post, and not because of his presumably low grade reading skills. In June, Bieber was charged for a hit and run on a photographer outside an LA nightclub. A little bit naughty, but if you’re going to (allegedly) commit a misdemeanour, at least be original and not commit one that every other troubled star has already committed. So clichéd. In July, Bieber (allegedly) spat on fans from a hotel room in Toronto. Knowing his fans, they probably felt honoured to have Bieb’s saliva on them, but that’s not really the point. Also in July, Justin peed in a cleaning bucket at a restaurant, told the staff that they were lucky to have such a big celebrity pee in the place, and sprayed a pic of Bill Clinton with detergent yelling ‘[Fudge] you Clinton!’ How do we know this happened? 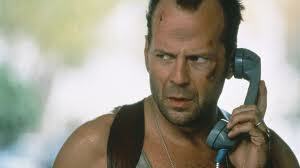 He had his entourage film it. Perhaps for his next music video. Bieber peeing into a restaurant bucket. And possibly also pooping into his pants by the looks of it. A few weeks ago, fans at one of Bieber’s concerts were throwing items on stage. Unfortunately these items were symbols of adoration, not explosives or starving Rottweilers with a hankering for Canadian wieners. Nonetheless annoyed, Bieber took a girl’s iPhone, shoved it in his pants, and then threw it into the crowd in the opposite direction from where the girl was. Classy. That phone now has chlamydia. Around the same time as the iPhone-my-junk incident, Bieber started a brawl in a night club because someone was talking to a girl he was trying to hit on. The poor victim was just trying to retrieve a bow-tie he had leant the girl, but ended up being subjected to a stream of verbal abuse by Bieber and some roughhousing by his entourage. Later, when the victim left the club, Bieber drove around the car park trying to find him. As one witness fantastically described it, Biebs “jumped out the sunroof of his car and slid down the car like he was in Die Hard…He dropped his shirt and threw his hat and wanted to throw hands. His people surrounded [the victim], who was getting punched from all angles.” What’s an entourage for if not for holding someone helpless whilst you bash them with your shirt off? Oh right, filming you pee into a bucket. I forgot. And then finally this happened. A couple of weeks ago photos emerged of Bieber doing something that is totally not weird: serenading his grandmother naked. Yep, armed with only a guitar to cover his instrument, Justin sang to his grandmother to wish her a happy Thanksgiving Day, with typically cerebral Bieber lyrics such as, “I love you grandma, how are you, hello grandma.” Her reaction? Go put some clothes on. Good call Granny Biebs. Dear lord Bieber. Even the guitar at least has a g-string. So what does the future hold for Bieber? To what new heights of douchebaggery can he reach? Who knows? Although one can hope it involves twerking with Miley Cyrus.